Purushothaman was born in Kanchipuram to pious parents and even as a child was given in service to the then pontiff of Kanchi Kamakoti Mutt. He had great love towards his Guru and served him with all faith and sincerity. 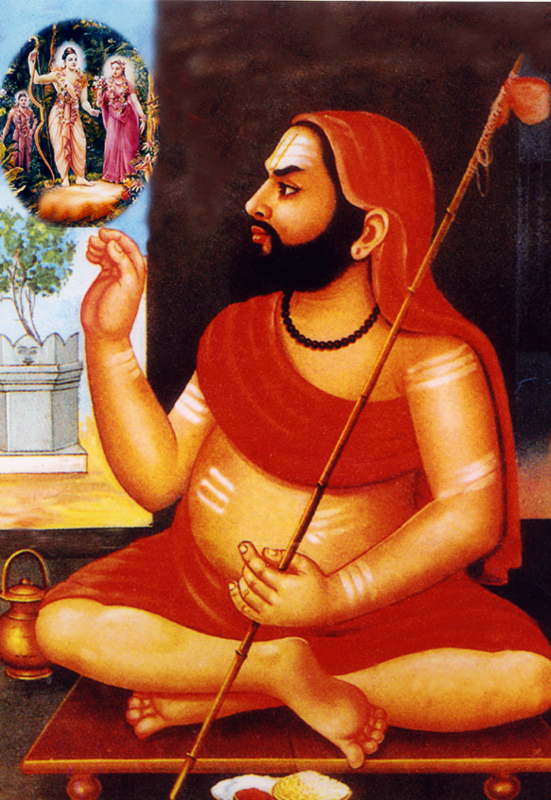 Later his Guru gave him the sanyasa name of Sri Bhagavan Nama Bodhendra Saraswati Swami. 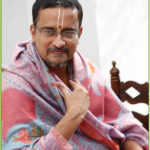 Sri Bodhendra travelled to various villages spreading the greatness of Rama nama (Taraka mantra). Once He went to a village called Perambur near Raja Mannargudi. There he was invited by a couple to their house for bhiksha (partaking food). He initiated them with ‘Rama’ nama and then agreed to visit their house. All arrangements were made in the house for the arrival of Swamiji. The host had a 5 year old son who was deaf and dumb since birth. Since all the householders were busy carefully preparing for Swamiji’s arrival, the child was not fed anything since the morning. He was starving. Sri Swamiji was greeted with respect by the family members of the house, and was served lunch on a banana leaf. He then saw the little boy standing and gazing at the food. The compassionate Swamiji asked the little one to eat with him. When the child did not respond to his call, the parents told him that the boy was deaf and dumb. 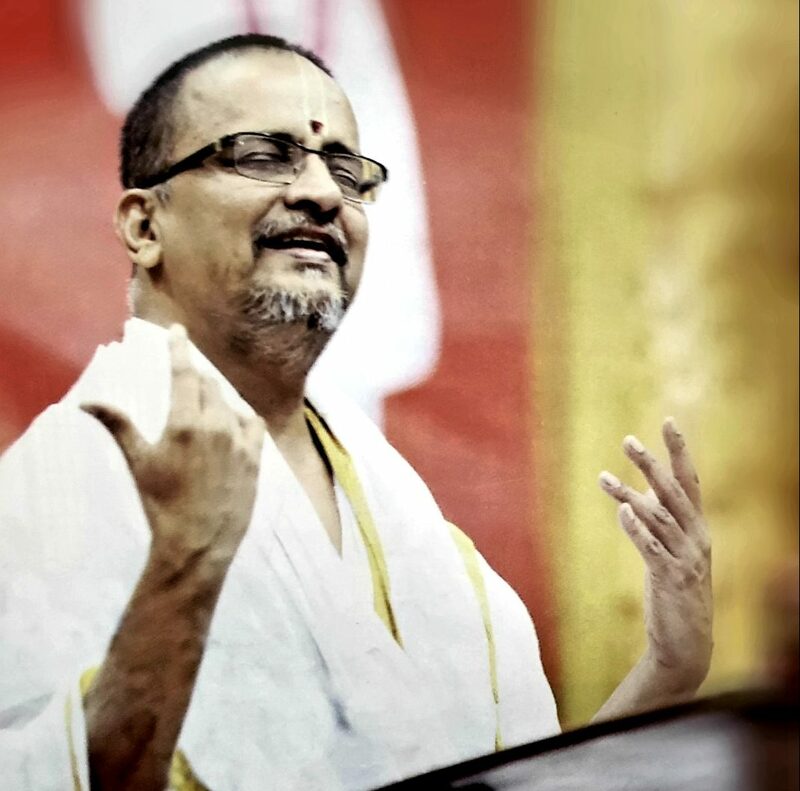 Swamiji became very sad and tears rolled down his eyes. He was dejected that the boy could neither hear nor chant ‘Rama’, the Name that would shower him with happiness and lead him to God. The parents tried to console Swamiji, but he could not eat anymore and left the house. 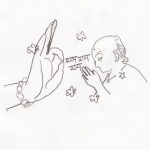 As the family was seeing the saint off, the hungry child, who was alone at the house, ran and ate the uchchishta (remnants from Sri Swamiji’s leaf). When the family members came back inside, they were stunned! The dumb boy was dancing and singing the Divine names of the Lord – ‘Rama, Krishna, Govinda’. That is power of the uchchishta of a Mahatma. 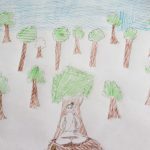 Not only did the boy begin to hear and speak because of it, but he also got jnana and bhakti through it! 4 Responses to "Sri Bhagavan Nama Bodhendra Saraswati Swami"
Please share such treasure with spiritual poor person like me, so that even people like me can grow rich 🙂 …. Spiritually, where you are medium to instill faith.